The 2013 Code of Practices was launched in November 2013 after an 18 month multi-stakeholder review process. It is being rolled out during 2014 – visit the RJC Training page for recorded modules on key aspects of the new standard. 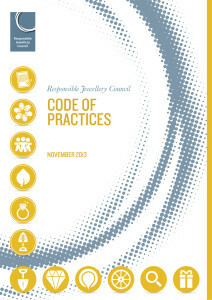 RJC Code of Practices 2013 – PDF – the mandatory certification standard for RJC Members. 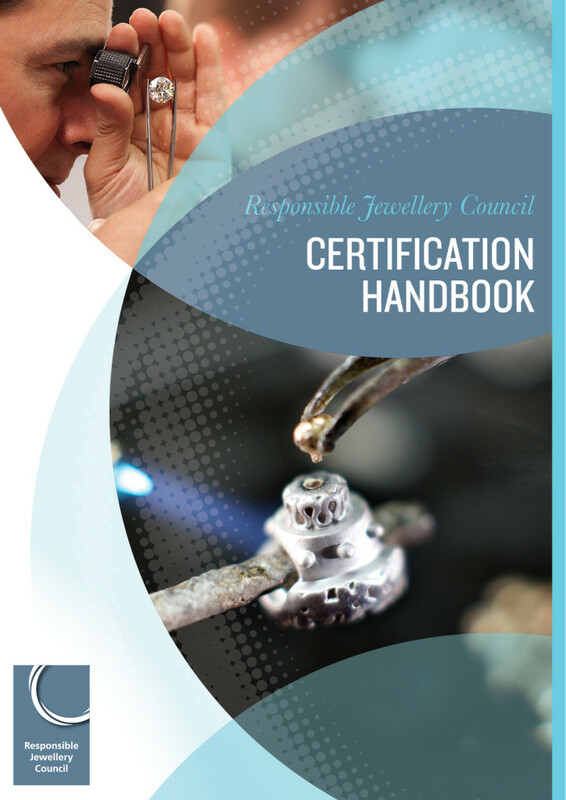 RJC Certification Handbook 2013 – PDF – an overview of the Responsible Jewellery Council (RJC) System and the requirements for achieving certification. 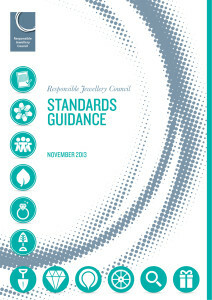 RJC Standards Guidance 2013 – PDF – Guidance on implementing the Code of Practices in your business. RJC Assessment Manual 2013 – PDF – Guidance on Self Assessments and Audits for Members and Auditors. 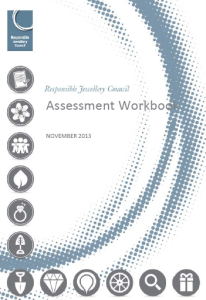 RJC Assessment Workbook 2013 – Excel file – A toolkit for Self Assessments and audits against the RJC Code of Practices. Last update: 31 October 2016. RJC Assessment Questions – Word – The set of questions that specifies the relevant requirements of the Code of Practices for Member’s business practices. The Assessment Questions are also incorporated in the Assessment Workbook. Updated 18 March 2014. RJC Human Rights Due Diligence Toolkit 2013 – Excel file – A toolkit for a human rights due diligence process, developed for RJC Members. RJC Risk Assessment Toolkit 2013 – Excel file – A toolkit for carrying out a Risk Assessment and developing Corrective actions. Box Set Download of the Code of Practices 2013 and supporting documents. Last update: 19 June 2014. Note in the interests of reducing unnecessary printing, RJC does not produce printed copies of its standards. If you need a printed copy and cannot download and print the files yourself, please let us know and we can arrange to provide one, though you will need to cover the applicable postage and handling costs.